WESTFORD, MA. June 15, 2016 — With the release of exacqVision 7.8 video management system (VMS) software, Tyco Security Products increases local client video performance on all exacqVision network video recorders (NVR) and client workstations. exacqVision version 7.8 video management system (VMS) software also includes new direct archive search, camera connection diagnostics, hard disk drive serviceability, faster searching in Exacq Mobile and license management functionality across all exacqVision servers in Enterprise System Manager (ESM), a health monitoring program for use with exacqVision Enterprise network video recorders (NVRs). With exacqVision version 7.8, the exacqVision client provides faster access to video and better bandwidth management. exacqVision users closer to the archive location on the network can directly search video on the archive without routing data through the recorder. Operators in the transportation market can easily search video directly through the archive using exacqVision Edge+ VMS software, even when a bus or vehicle is away. 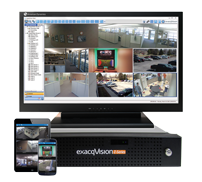 exacqVision Edge+ runs directly on an edge device like an IP camera without the need for an NVR or separate server. To further simplify camera connections, exacqVision 7.8 introduces camera connection diagnostics to assist installers with quickly establishing correct IP and port paths between the recorder software and camera. The new diagnostics provide guidance and detail to reduce troubleshooting time. For exacqVision recorders, exacqVision 7.8 will automatically run periodic hard drive health checks to proactively notify users when a recorder hard drive may fail to streamline hardware repair and minimize downtime. The newly redesigned web service configuration page shows administrators a performance dashboard of easily consumable statistics on the number of connected users, CPU and memory usage and number of streams being viewed to better optimize the use of resources. A guided checklist ensures administrators have connectivity with the Internet and the web service is accessible to mobile users. The latest version of Exacq Mobile app for iOS, Android and Windows Phone 8 devices improves search capabilities. Through the Exacq Mobile app, users can find and review video associated with point-of-sale, access control and other events faster in the new list search. With the new list search option, Exacq Mobile displays search results in a list format with a thumbnail of the associated video to greatly reduce investigation time. Enterprise System Manager (ESM) offers administrators the ability to backup and store server licenses. 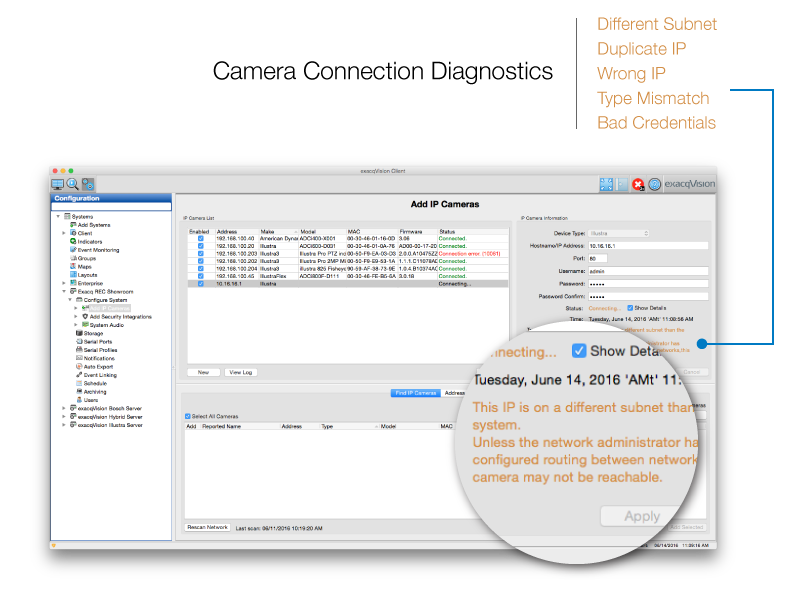 With this release, ESM administrators can more easily view license expiration dates and the number of connected cameras. Additionally, administrators can import, export and save bulk server licenses directly from ESM, saving significant set up time. exacqVision VMS now supports nearly 3,000 IP camera models including cameras from Illustra, Axis Communications, Arecont Vision, Panasonic and other leading IP camera manufacturers. The exacqVision VMS is accessed with the freely distributed exacqVision client software (Windows/Linux/Mac), the exacqVision free web browser client available for all leading web browsers (Google Chrome, Firefox, Internet Explorer, Safari and Opera), as well as the free Exacq Mobile app for iOS, Android and Windows Phone 8 devices. The VMS software is included with pre-configured exacqVision NVR servers or it can be installed on third-party Windows or Linux-based systems. For more information on this exacqVision software release and other new updates and offerings, go to www.exacq.com.